Action Wobbles: Have a Cupcake Kinda Day! Have a Cupcake Kinda Day! Hi my friends. Linda from The Tulip Collector here and I am the Designer on the Action Wobbles Blog today. 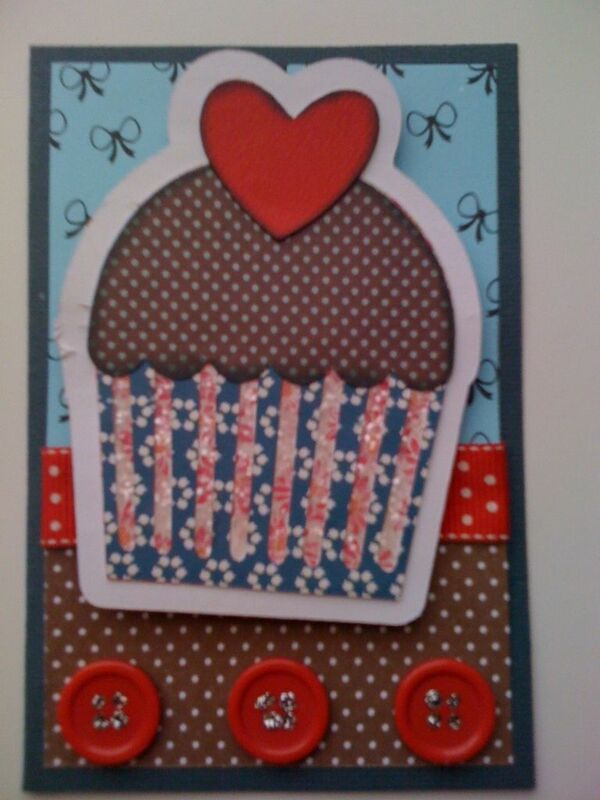 I am showcasing the card that went with last weeks Cupcake Bouquet. I love that I can coordinate little gifts and cards. I love that the cherry is a heart. Perfect for February celebrations. The month of love! 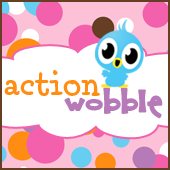 Have you tried Action Wobbles yet? You can get some of your own from HERE!!! Want some Blog Candy??? Be sure to go to TheTulipCollector to see how. What a cute and fun card. Very cute. I like the buttons, the papers you used and the heart as a cherry! This card is too cute. I need to get me some of those wobbles so I can play. Such a great addition to the cupcake.